Dwarf the competition w/ this large sticky note cube wood pallet. 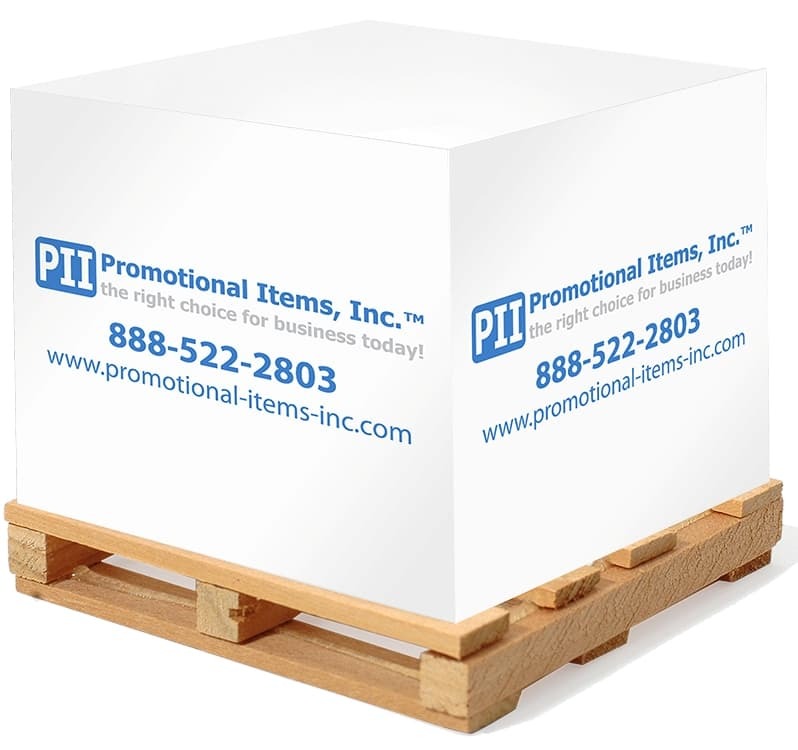 Features 60 lb White paper, wood pallet, 790 sheet sticky cube. Adhesive note cubes have stickiness 1/2" across note top. Delivery from date of a order for note cubes is 3 weeks.